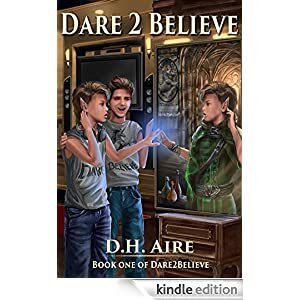 Welcome to Dare 2 Believe… and the world of Highmage’s Plight, Where their plight might just become your own. In this world the fate of humanity rests in your hands. Become a member of Highmage’s Plight/DHR2Believe (FEATURE NOT LIVE AT THIS TIME), at the Exclusive Character Member Level and choose your favorite available character from our growing cast, who we get to know and meet in Highmage’s Plight, an online experimental evolving novel series. Depending on your annual membership level, you can participate in the creative writing of this exciting and dramatic epic, , suggest new directions in the story, dialog, or actions you feel they should take, even help develop future chapters in the saga. The site is in a Soft Launch Phase, open to all visitors. However, the debut is approaching – soon to be announced, participants will need to become members in order to access all our features, made possible through Writing.com. Basic membership will be offered as a promotional membership for readers with purchase of the forthcoming ebook edition of Highmage’s Plight. If you have signed up for Register Exclusive Character Membership or Registered Author Level (which includes an Exclusive Character – possibly of your own creation in the Highmage’s Plight “universe”) of our annual membership, you have the right to choose your favorite from the available cast of characters. These characters are all integral parts of the vast sweep of Elvin/Human history in the Empire and beyond that appear in the Highmage’s Plight, online evolving series. Your choice and your membership level will determine what role you and/or your character play in that story. At Highmage’s Plight/DHR2Believe, we believe in people and creativity. We have already assembled these materials to get this online novel off the ground. Having worked in the publishing field, we know what the problems are and have an “novel” approach for where reading a book can go in the digital age.